The Nigerian Army says it will investigate the mutiny on Wednesday in Maiduguri by soldiers attached to the newly created 7th battalion of the Nigerian Army. According to the Defence spokesman, Wednesday’s incident occurred when the corpses of four soldiers who died in an ambush while returning from patrol duties in Chibok were being conveyed to the morgue. He however assured that there is currently calm in the cantonment and normal operations continuing. 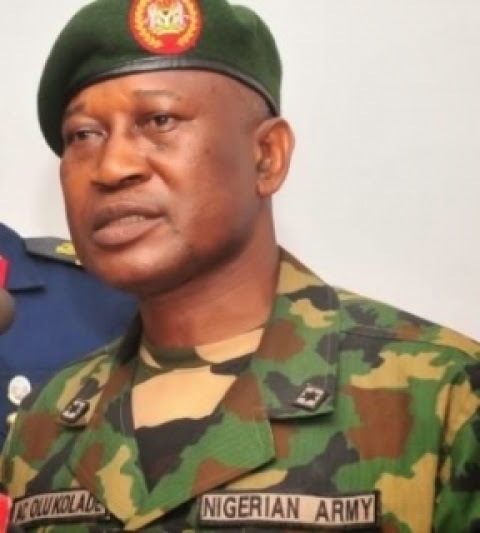 Recall that some soldiers seconded to the 7th Division, which was established only two months ago for the war against Boko Haram, fired shots into the air at the barracks as they were being addressed by Major General Ahmed Mohammed, their commanding officer who was appointed in February. Soldiers are said to be complaining about management issues relating to the implementation of the state of emergency. Among the issues, they say their commanders have neither provided the appropriate equipment to combat the better-armed Boko Haram militants nor devised a troop-rotation system.